The Society has had a very successful year, and interest has been maintained. Unfortunately, in some aspects, due to circumstances beyond our control, and by these I refer mainly to the weather we have not been as active in some fields as we anticipated. The membership figures remain satisfactory, some members have dropped out of the Society because they have moved to other parts of the country, some members gave forgotten to renew their subscriptions, but we have also gained some new members. At the moment, membership consists of 72 Associate Members and 28 Full Members. Attendance at all main meetings have been very satisfactory, the average size of the audience being well over 50. Our observing activities have been severely curtailed by the bad weather on Thursday evening, and also due to some difficulties with the telescopes. Both telescopes now, however, are in full working order, and the 8.1/2" reflector has been modified by the addition of a second slow-motion drive. The temporary observatory promised last year has now been completed and is operational. we had some initial problems due to rain getting in, causing some rusting of the telescopes, but this has now been rectified and an electric heater has been fitted. Plans for the erection of a permanent observatory are under consideration, and there is some possibility that construction of this, which will be a brick built building with a proper dome, will commence before the end of this year. The Society had a very attractive stall at the Leisure for Pleasure Exhibition held in the Music Hall on Saturday, 27th November. The Committee is very grateful to all the members who provided exhibits and manned the stand. We had a large number of enquires about the Society, and all our handout literature disappeared very quickly. As a result of this Exhibition we gained several new members. Several members of the Society attended a meeting of the Scottish Astronomical Societies held in the Mills Observatory, Dundee, on Saturday, 25th September. We had a very interesting day, and were able to exchange ideas with members of other societies. Members of the Society are reminded that informal meetings of the Groups take place on Thursday evenings, and all members of the Society are welcome. The telescope construction group is active, and several members appear every Thursday evening for grinding and testing mirrors. We have, however, lost track of several members who bought mirror kits, and would be interested to learn how they are progressing. 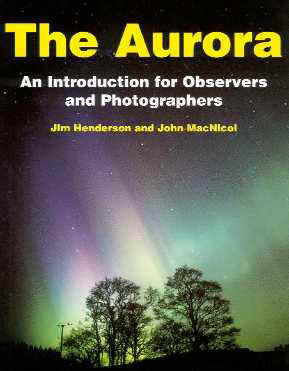 The observing group, unfortunately, has not been able to be very active because of the reasons mentioned above. The astronautics group has become very active, and has had several interesting meetings, and a number of projects are under active consideration. The aurora group has also been active and has held several meetings. The photographic group has not been able to operate, again for the reasons of weather. The meteor group as yet has not met. The history group, although of a small membership, has been active. A monograph entitled "Notes of the History of Astronomy in Aberdeen and the North-East" has been produced by Mr. David Gavine, and copies will soon be available to members of the Society. An investigation into Stone Circles, which are pre-historical observatories, has been started, and it is hoped this will grow into a major project involving not only the history group, but also the photographic and observing groups. This is an activity which we hope to develop fully in the summer when the weather makes excursions to the many sites in this part of the world become more attractive. The Library has increased considerably in size since the last Annual General Meeting. This is partly due to purchase of books and periodicals, and partly due to gifts from members. We are particularly grateful to Major Douglas for the gift of a large numbers of books and journals. A large number of members have made use of the Library and other members are reminded that the Library is open for the borrowing of books every Thursday evening. Because of his services to the Society, the Committee have elected Mr. Keith Fraser an Honorary Member of the Society. The Society wish to record its thanks to the Governors of Robert Gordon's Institute of Technology for their continued support in providing the facilities for meetings and practical work. We also wish to acknowledge with gratitude a grant of £50 from the Aberdeenshire Educational Trust, and a grant of £20 from the City of Aberdeen. We also thank Major Douglass for his donation. Aberdeenshire is well endowed with standing stones - some single, some in groups and circles - left by men who lived nearly four thousand years ago. T has for long been assumed that these stones, especially the circles, were associated with some religious practices favoured by these primitive peoples. Following the work of Sir Norman Lockyer at Stonehenge and other British sites, it has been recognised during this century that some of the circles might also have an astronomical significance. A very detailed survey for a large number of sites were carried out by Alexander Thom and the results were published in 1967 in his book "Megalithic Sites in Britain". His research has also been featured in television documentary programmes. Formerly a Professor of Engineering at Oxford University, Alexander Thom has recorded very careful measurements from many sites. When they are analysed it is found that in very many circles it is possible to trace lines pointing to certain parts of the sky where it can be ascertained from astronomical studies certain first magnitude stars would have risen or set between 2000 B.C. and 1600 B.C. Some lines indicate the rising or setting of the sun or of the moon at different times in the year. At many sites there is to be found evidence of a north-south line and in a significant number of cases one of the stones in the ring is standing at the north point. It is necessary to read Professor Thom's book to see how the evidence builds up into a fairly convincing case. He suggest that this interest in the stars which we see reflected in the stone circles was because the stars might have served as indicators of the passing of time during the long nights of winter. Sirius could be seen setting at around 2 a.m. Altair would rise at about 4 a.m. Cepella set at 5.30 a.m. and Pollux at 7 a.m. Finally dawn would break between 7 and 8 a.m. This sequence would alter by four minutes each day but this would serve only to bring other stars into the timekeeping observations of those early inhabitants of our country. This would indicate that those people were really quite advanced mathematicians as well as astronomers. These observations would be related not only to measurement of time during the long winter night but also to the passing of the seasons in the calendar year. Some of the implications of this study go far beyond the interests of an astronomical society. What is of interest to our Society in the Aberdeen District is that we live very near many fine examples of these stone circles., Some of our members believe that we should carry out our own surveys of as many of these circles as possible to see if we can confirm the results found by Professor Thom. In doing so we shall be forming a kind of link with astronomers of nearly four thousand years ago who left behind these simple stone observatories which still stand at a time when we are planning to establish observatories in space. Astronomical studies in the part of the world might have a much longer history than most of us previously though credible. Postscript : Professor Thom has since published another book which develops further some the ideas mentioned in the earlier volume. This one is entitled "Megalithic Lunar Observatories", published by Oxford in 1971. N.A.S.A. - going to pot ? Work in the group commenced last year with great enthusiasm Cauldrons of boiling pitch bubbled and smoked every Thursday evening as the mirror makers tackled the odd but fascinating task of forming a slight depression in the surface of a glass disk to the accuracy of a few millionths of an inch. The mirrors being constructed ranged from 6" to 9" diameter and one member will soon be starting one of 12" diameter. Another interesting type of mirror being constructed by one of our members, Mr. Dalgarno, is a Maksutov of 77mm diameter. This is an exceedingly difficult design to be attempted by an amateur, but the work is progressing satisfactorily. We are all looking forward to the completion of this instrument. Activity has, however, declined somewhat recently as people have found evening classes, examinations and other activities eating into their spare time. I'm sure that it has become obvious to the participants that a wee bit of work now and then will never produce a completed mirror. To make a mirror, as schedule of work has to be drawn up, and each phase planned out with a definite period of time allocated to each phase. More than half the members who purchased mirror kits took them home to work on. Some have brought them in for testing, but the progress of the other home workers is unknown. Information on the progress of our members on their telescope mirrors would be of great interest to the telescope group. In addition the exchange of useful hints and the airing of problems would be of value to all concerned. So look in at the Society's rooms any Thursday evening to gibe others the benefit of your experience. These books are now available for borrowing by members. The Society is most grateful for the generosity of Mr. Grassie and Mr. Douglas.